What is the most inhumane, indecent or immoral argument you've heard put forward for debate by the mainstream media? This writer recently found himself shocked and appalled by a view-point issued on the BBC - a corporation who, as part of their remit, should be institutionally opposed to airing the more tawdry ideologies found on the fringes of society. Yes, free speech is good but, surely, not all thoughts are created equally; it would be hard to imagine the corporation asking guests onto their channels to debate the merits of child abuse or the rights and wrongs of terrorism. Yet, one morning in 2017, the BBC aired the argument that perhaps our treatment of disabled people within a capitalist framework was too liberal. Should people with learning impairments or other mental health issues be allowed to work, they asked, for less than minimum wage? It was perhaps the choice of the word "allowed" that stuck in my craw the most. 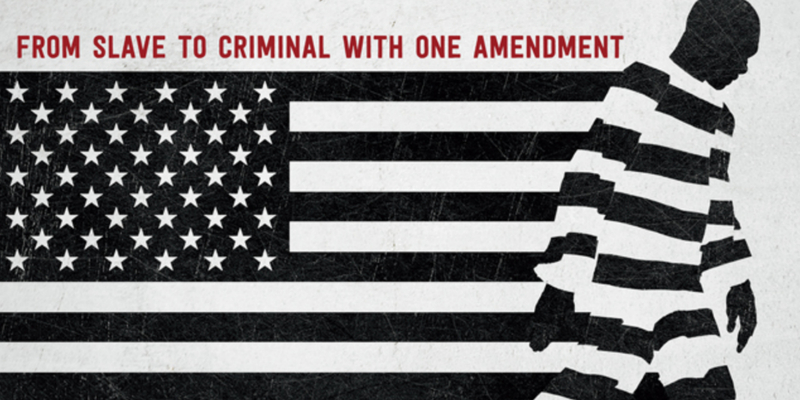 With this fresh in mind, I sat down to watch Ava DuVernay's Oscar nominated documentary 13th - an investigating into incarceration and the penal system in the United States of America. 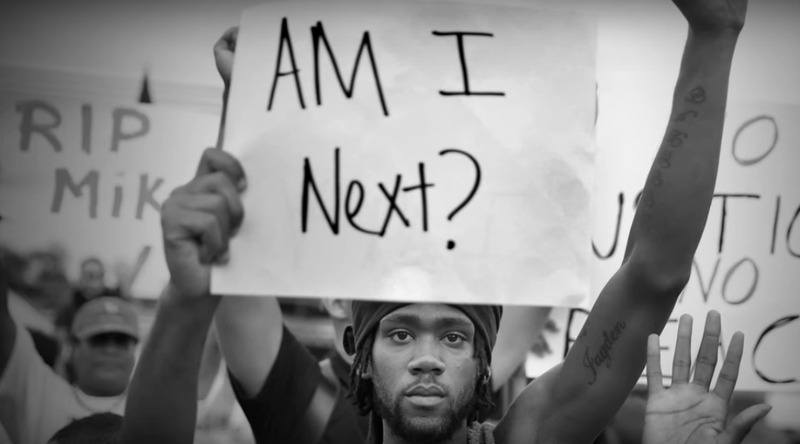 Whilst the subject may appear to be suitably different, the spine which links together the arguments presented to us by the BBC and those in DuVernay's movie can be found in the manner in which capitalism debases all of us. In a system which sets about exploiting labour for the lowest possible fee, it stands to reason that corporations and avaricious businesses would look at undercutting workers as much as possible. If this means viewing their workers as less than human, so as to strip them of their rights and a fair compensation, so be it. The title of the documentary comes from the American constitution, specifically the number of the amendment which freed slaves and prohibited the inhuman practice for good.... with one important caveat. Meshed into the thirteen amendment is the clause which allows slavery as a punishment for crime. So, whilst the United States, a nation founded and built upon the back of slavery, set about disentangling itself from the economic model of cost-free labour, the government left a loop-hole within its legal system so as to not eradicate America's greatest abhorrence in its totality. DuVernay tells us that, despite having just 5% of the world's population, the USA homes a quarter of the world's prisoners. That a disproportionate number of these are African-American is no coincidence we learn. “The opposite of criminilisation," we are told "is humanisation”. This is the key to the entire movie and, indeed, of the ugly attitudes capitalism inspires in us. As the BBC allows us to consider a world in which worker's rights, protections available to all humans who work within the UK, should be lessened for those with learning issues, we see how capitalism has caused us to view some of our fellow beings as fundamentally worth less than others. This is an example a form of eugenics which is inevitable within a laissez-faire free market society which has been found, amplified, at the darkest corners in human history. Similarly, the manner in which the USA incarcerates and removes the rights of a hugely disproportionate amount of African-Americans, descendants of slaves, in the name of the prison-industrial complex is unseemly. That the nation has seen a rise in commitment to ethno-national ideologies is in no small way unrelated to the institutional, even constitutional, mistreatment of black Americans even following the 13th Amendment. So, whilst I may have begun my post by suggesting the BBC should have never aired such sick opinions on their esteemed channels, I believe the opposite is true of 13th. One of the most powerful documentaries of recent years, this movie is required viewing if we're ever to truly understand the sickness found bubbling under the surface of the Western world; the links between eugenics and capitalism; and our urgent need for widespread economic and social reform to counter the danger of a rising populist right. All content by Kieron Casey except where noted. © The Totality | All rights reserved.